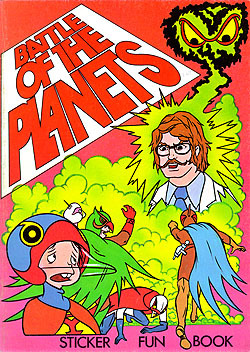 This book reprinted several stories from the American comic book issues, but on much nicer paper. 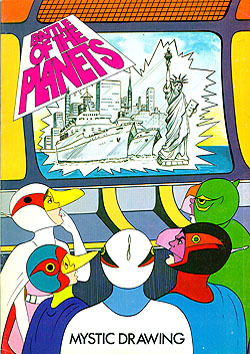 In addition to the comics, an original two page "Operation Zoltar" game was included. It was presented by World Int'l Pub. Ltd. in 1980. 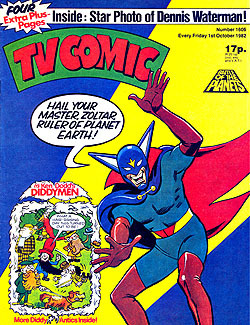 A weekly magazine with comics and stories based on various television series. 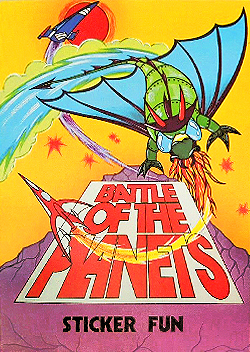 Battle of the Planets segments ran from issue 1530 (4/17/81) through to issue 1671 (12/30/83). 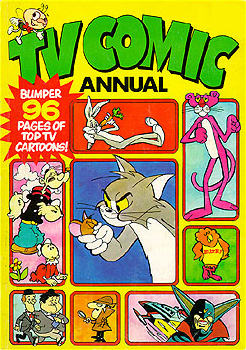 Each issue contained two story pages. Story arcs ran for two to five weeks, with most arcs running four weeks. All art and stories were original. 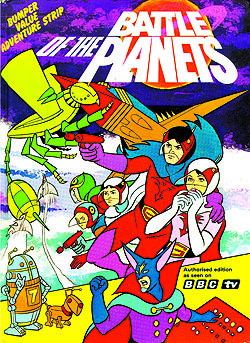 Battle of the Planets segments were color through issue 1655, then black and white until the end of the series' run. By Polystyle Publications. 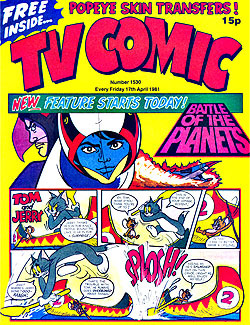 This TV Comic Annual presented the last original Battle of the Planets comic story in the UK. 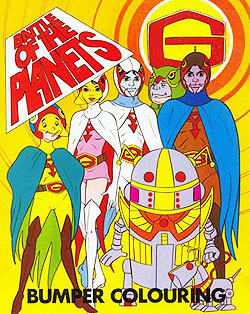 The five page tale was presented in full color, unlike the end of the series in the weekly TV Comic, which had switched to black and white. 1984, by Polystyle Publications. 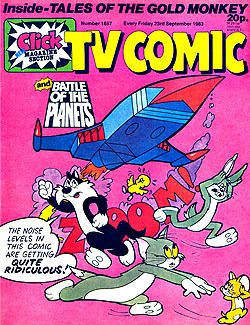 Each Sticker Fun book contained eight pages of black and white original art to color, along with two pages of full color stickers. The stickers were meant to be glued into specific sections of the black and white art. 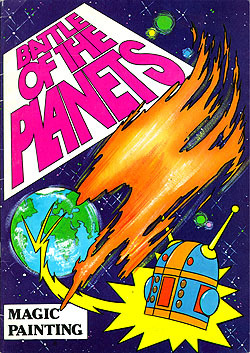 1979, by Golden Acorn Publishing Company. 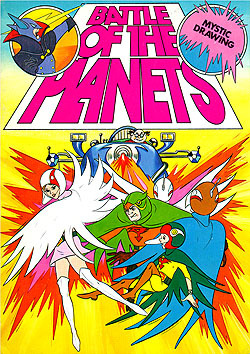 Four Mystic Drawing books that contained 16 pages of original art. 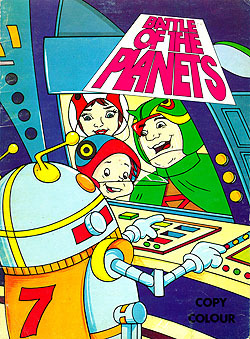 The pages were given a special glossy coating that covered everything but the linework. When a pencil or crayon was dragged across the page, the linework would appear, leaving the rest of the page white. 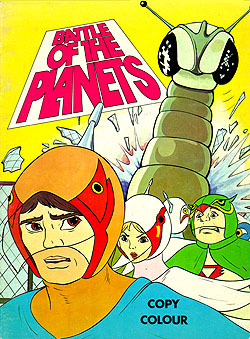 1979, by Golden Acorn Publishing Company. 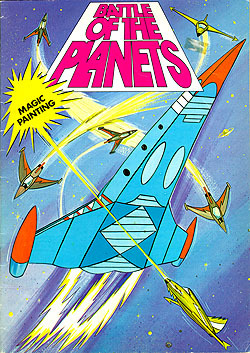 Each Magic Painting book had 16 pages of original art. Pre-printed pictures in gray tones would reveal different colors when a damp brush was applied to them. 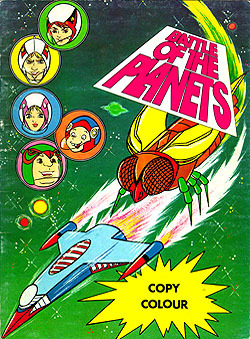 1979, by Golden Acorn Publishing Company. 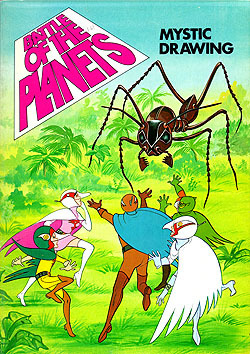 The 1983 Holiday Special (left) reprinted the American Battle of the Planets comics "The Enemy Within" and "Invasion of the Ant Creatures" from issue seven and "Ghost Ship" from issue six. 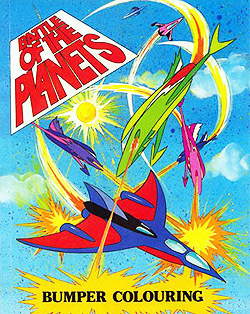 It also contained a full-color Battle of the Planets poster. 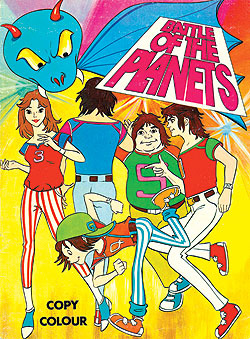 The 1984 Holiday Special (right) reprinted four American Battle of the Planets comics; "Ice Creature" and "The Flaming Menace" from issue two and "The Creeping Forest" and "The Earthquake Menace" from issue four. 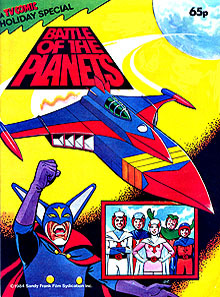 The center spread had an original Battle of the Planets game. 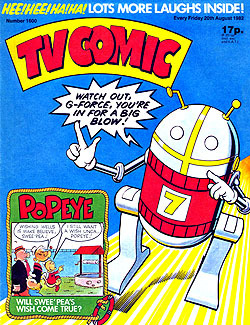 Each were published by Polystyle Publications. 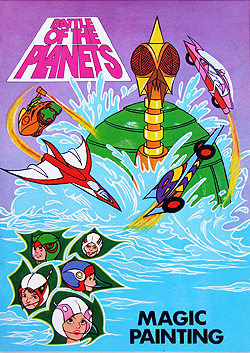 Each Copy Colour book had sixteen pages of art. 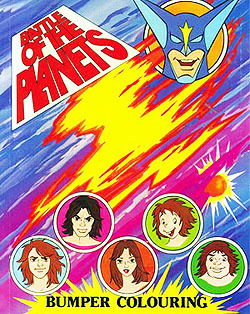 It was a mix of original art and reprinted panels from the American comics. 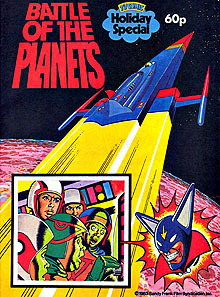 Each page had a full-color piece of art and a matching black and white version. The idea was to color the black and white art to match the color. 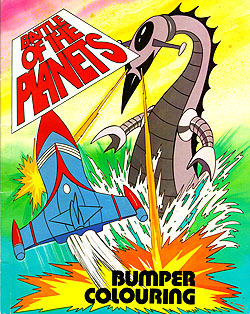 All were published in 1979, by Golden Acorn Publishing Company. 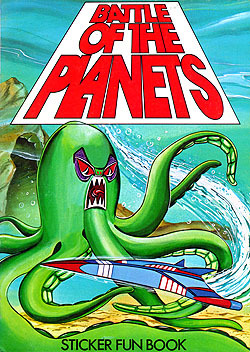 Four different coloring books, each were squarebound and included 48 pages of art from other UK activity books to color. 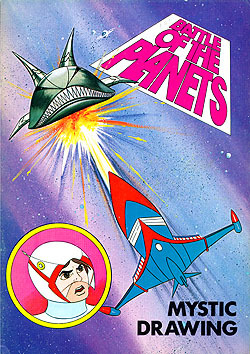 1979, by Golden Acorn Publishing Company.